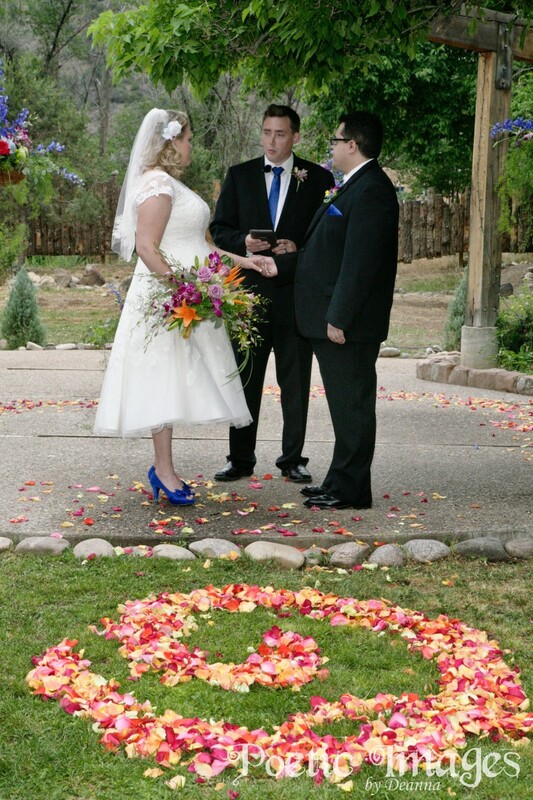 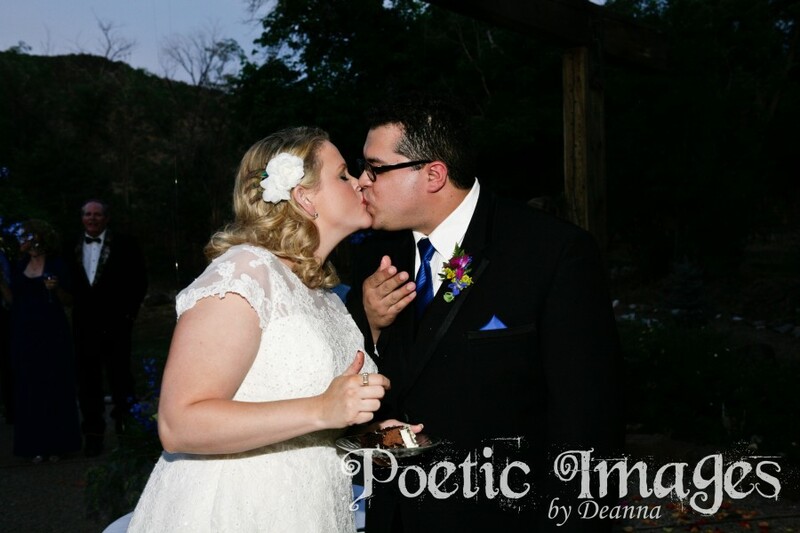 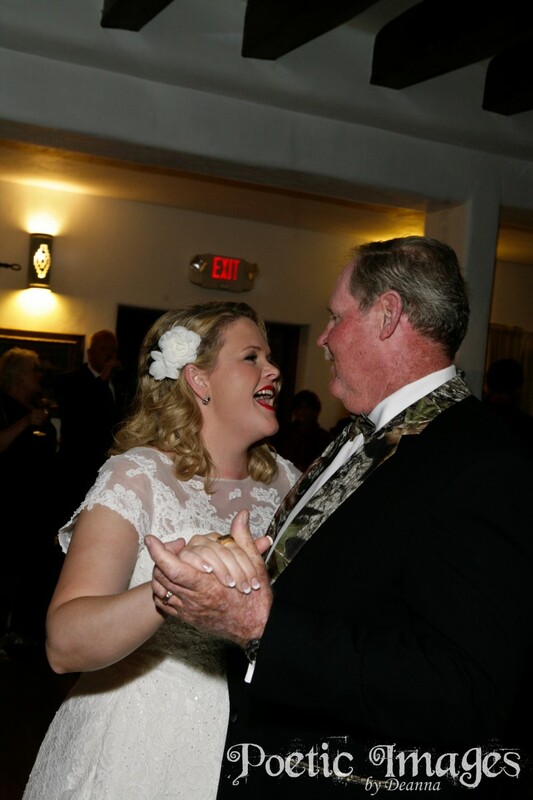 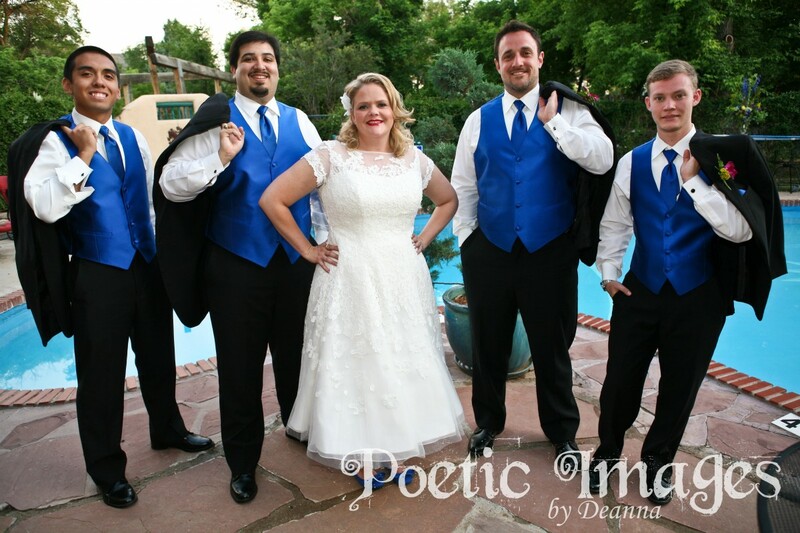 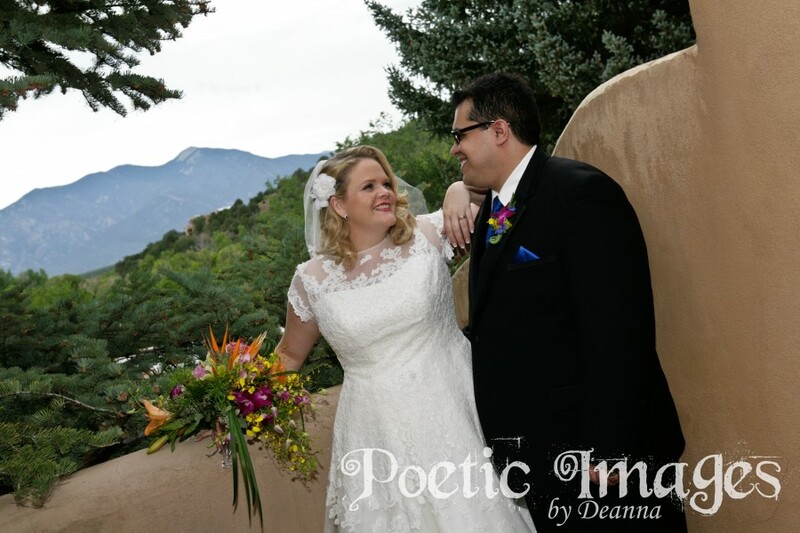 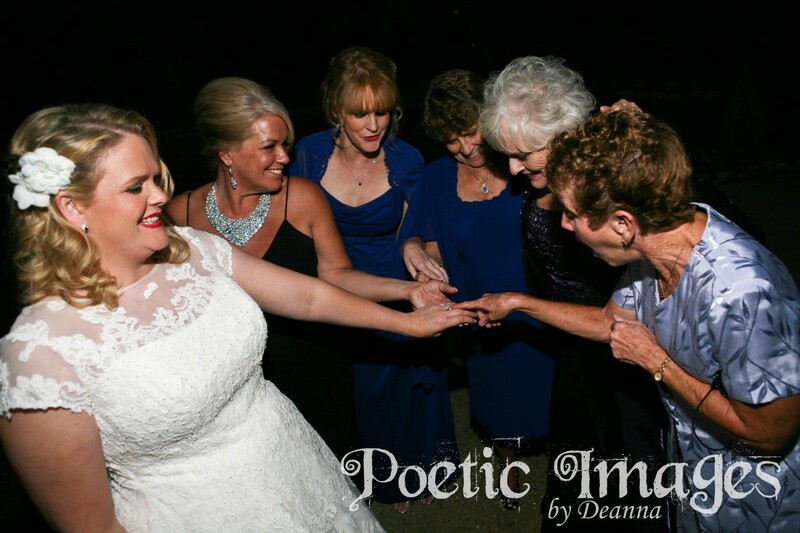 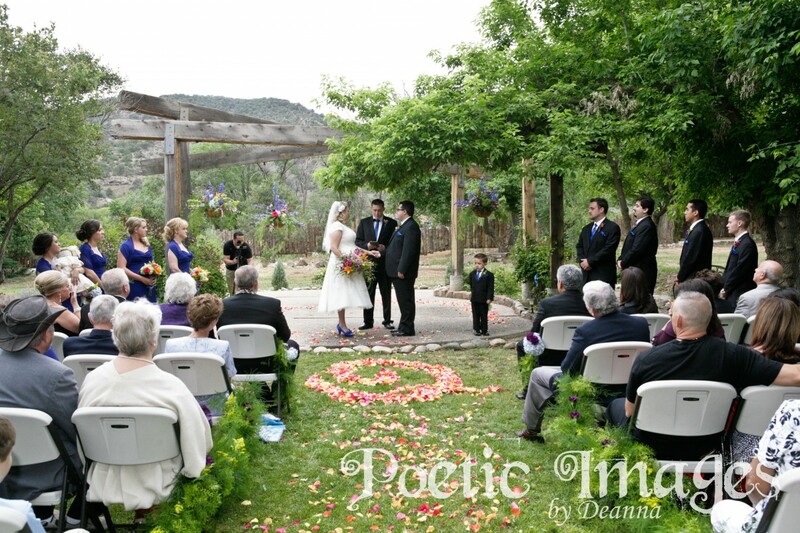 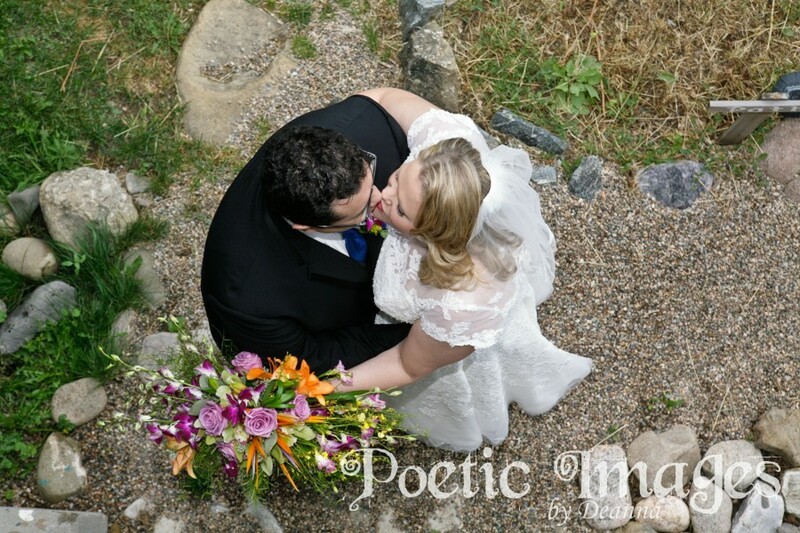 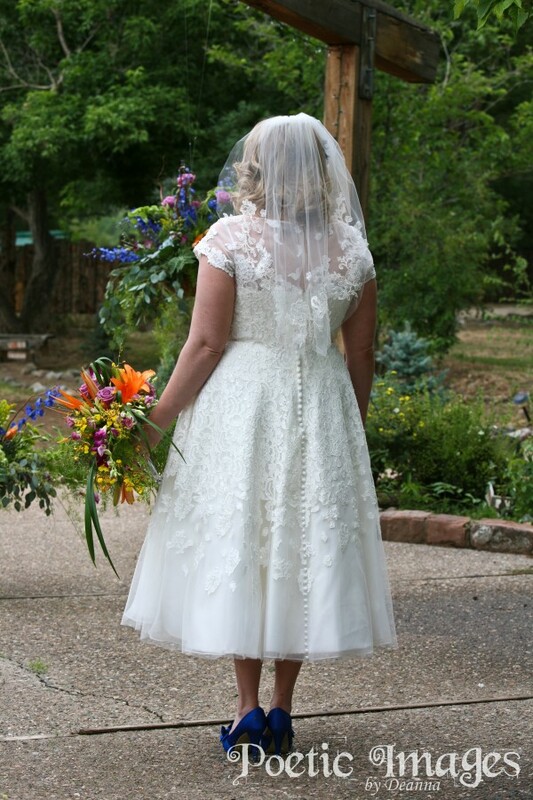 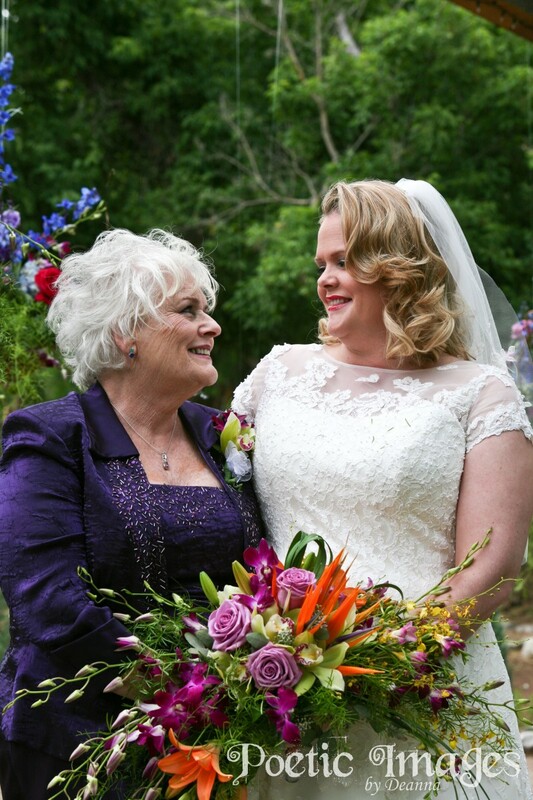 This lovely bride and groom came from Texas to Taos for the wedding of their dreams! 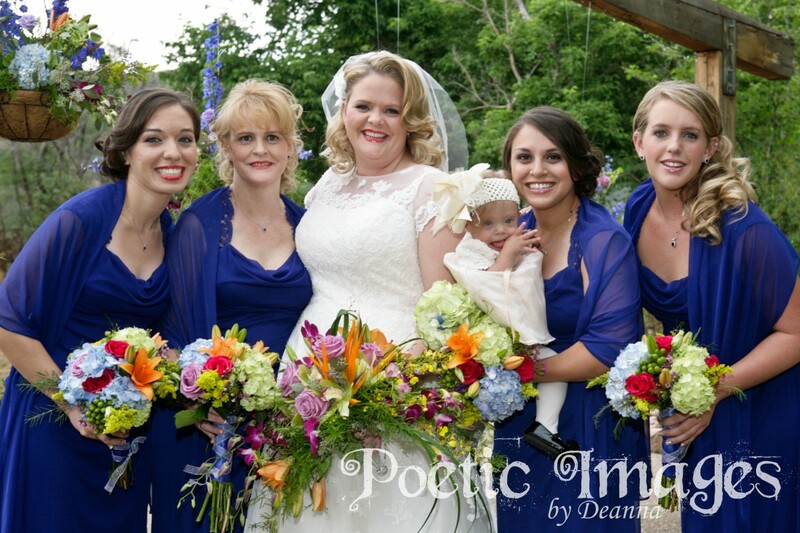 The bride’s mother and sister are florists so of course every flower was in perfect place, a wonderful display of beauty and color! 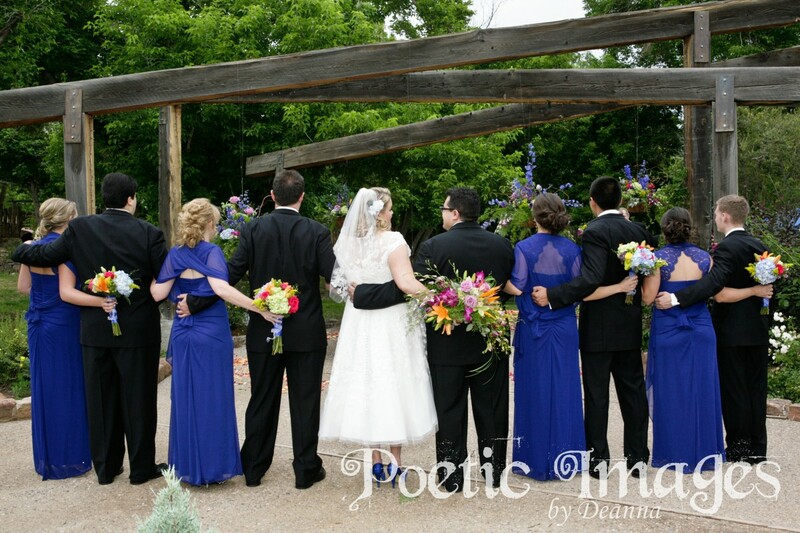 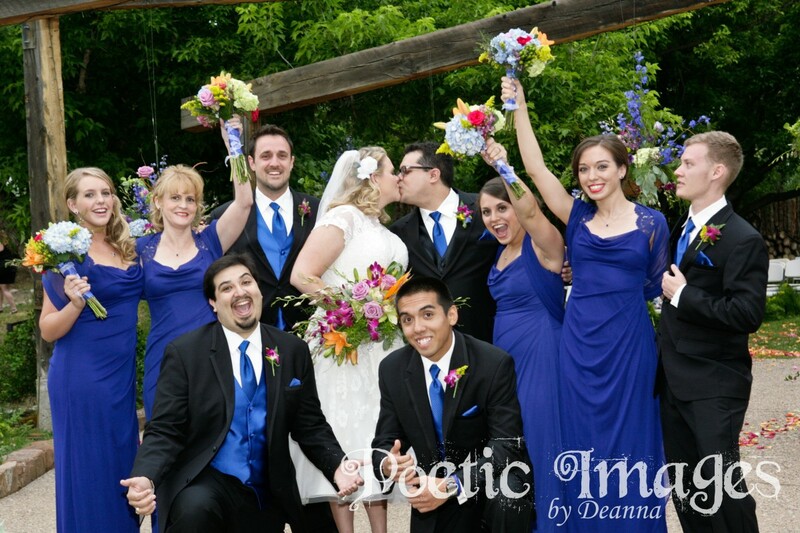 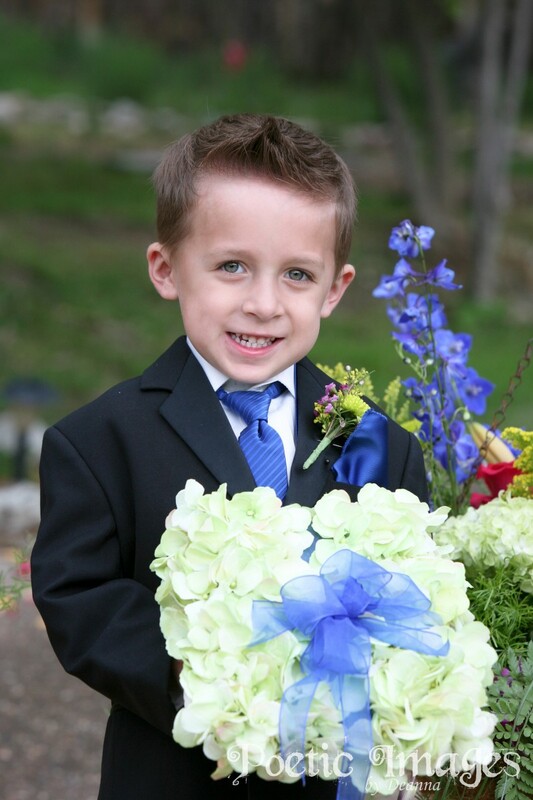 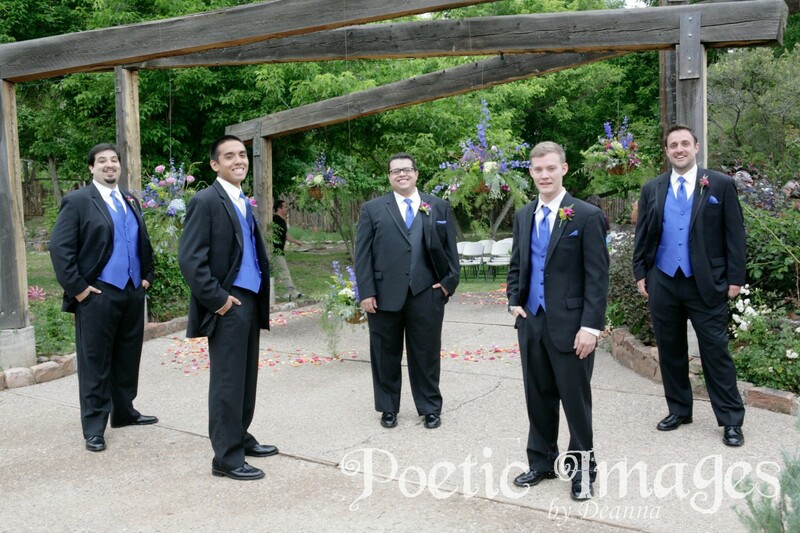 The wedding party wore royal blue which was vibrant under the grey skies. 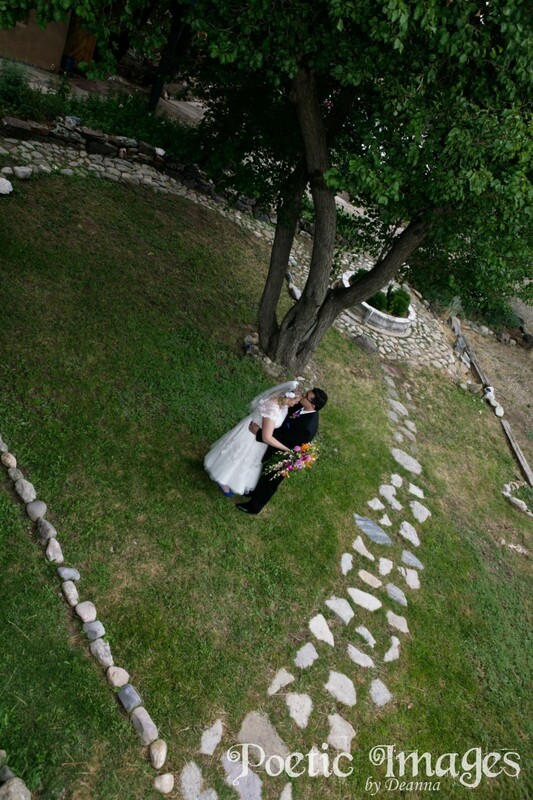 The San Geronimo Lodge was so photogenic with the beautiful grounds and wonderful adobe architecture.